The Spanish banking giant, Bankia, has a balance sheet full of toxic real estate assets, all hemorrhaging red ink. To survive, and prevent a further erosion in Spain’s crisis torn banking sector, Bankia needs a bailout from Spain’s already beleaguered taxpayers. But with Spain itself a sovereign debt risk, with an economy in recession and catastrophic levels of unemployment, there is increasing talk in the Eurozone that the bullet needs to be bitten if the euro will be saved. In other words, a bailout for the entire Spanish economy. A bailout of Spain would be a far bigger problem than Greece, Ireland or Portugal. It would ultimately mean that the German taxpayers will have to bailout Madrid. The talk is now of Eurobonds, a formulation that in theory holds all the Eurozone members as being collateral for debt risk. This would compel the unwilling Germans to be the lender of last resort-through the backdoor of a Eurobond- if Spain is to be bailed out of its fiscal woes. So this is what the European monetary union has come to; forcing the German taxpayer- democracy be dammed-to pay for all the catastrophic mistakes made by the Eurozone politicians. And this is supposed to end the Global Economic Crisis? I rather doubt it. Fitch, one of the 3 major credit ratings agencies, has lowered its rating of Japanese sovereign debt to A-plus, with a negative outlook. Japan’s gross sovereign debt is nearly 240 percent of its GDP. This is the highest correlation of public debt to GDP of any major advanced economy. There are some factors mitigating the massive Japanese government debt bubble. It is a nation of savers, which provided the sovereign with a domestic pool of cheap credit. Japan has large foreign currency reserves, and significant overseas assts (including hundreds of billions of dollars of U.S. Treasuries). However, the demographic trend in Japan is ominous in terms of future sources of cheap credit. The two decade old “L” shape recession, fiscal and political stagnation, and the triple disasters last year involving the earthquake, tsunami and nuclear meltdown further increased already massive deficit spending by Tokyo. One must conclude, therefore, that Fitch was not being overly pessimistic in describing Japan’s future fiscal outlook as being negative. 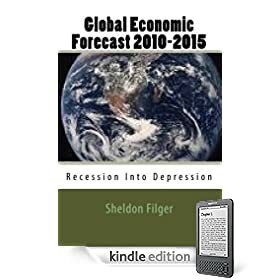 The latest statistical measure of the catastrophic economic depression hammering Greece reveals that in Q1 of 2012 the Greek economy contracted 6.2 percent. The Greek economy, beyond any doubt, is in free fall. Without recourse to printing its own money, the euro-strapped Greeks cannot even inflate away their debts. Unless, of course, they exit the euro. Then, they will have many other financial and economic problems left to contend with. As the Greek economy implodes, the political establishment in Athens is helpless. The most recent Greek parliamentary election punished the pro-austerity establishment parties, strengthened the parities opposed to the austerity deal with the Eurozone, but left no clear winner. The latest talks to cobble together a coalition government have failed. New elections will take place in a few weeks. The politics and economics of Greece are feeding on each other in a self-sustaining negative feedback loop. They are both in complete disarray. The recent Greek election, to no one’s surprise, severely punished the pro-austerity establishment parties, and greatly strengthened the anti-establishment political parties advocating the ripping up of the European bailout and austerity package. Currently, Greece is without a government. As Greece slides into political disarray, its economy continues in meltdown mode. With the Greek economic contraction accelerating, debts accumulating despite the bailout, and the unstable political situation prevailing, it is no shock that the most recent numbers show that Greece has an official unemployment rate of 22 percent. Without a doubt, Greece is in a sustained economic depression, with no clear light visible at the end of the tunnel. he latest numbers from the Bureau of Labor Statistics indicate that the United States supposedly “created” 115,00 jobs in April. Not even President Obama’s supporters are cheering loudly over this figure, as it indicates a slowing down of job creation-and that is if the number is accurate. As many know, BLS jobs numbers are usually a mathematical abstraction based on assumptions and inferences, not hard numbers. In any event, if there were 115,000 jobs created in April, that is below the approximately 200,000 new jobs that must be created in the U.S each month in order to keep up with population growth. In other words, 115,000 new jobs in April would mean that the American unemployment rate would increase. But in April, again according to the BLS, the U.S. unemployment rate did not increase; in fact it “declined” to 8.1 percent. If job creation is lagging behind the expected entry of new workers into the U.S. labor market, how did the magicians at the Bureau of Labor Statistics construct a reduction in unemployment? Very simple. There are so many discouraged unemployed workers in the United States, they are simply giving up and “leaving” the labor force. In many cases, actually, the BLS is exercising initiative and assuming that a certain proportion of the unemployed simply drop out of the workforce each month. The real meaning of the April jobs number is that the participation of age-eligible Americans in the labor force -both working and unemployed-is at a 30 year low. How is that synonymous with an economic recovery? In point of fact, a staggeringly high rate of unemployment, made artificially lower by not counting those long-term unemployed workers as being part of the active labor force, is by no means characteristic of a post-recessionary economic recovery. What has recovered since the onset of the global financial and economic crisis in 2008 are equity prices, which have regained almost all of their losses. However, that recovery is not due to increased consumer demand stemming from the reentry into the workforce of formerly unemployed workers. Rather, stock prices regained most of their losses and have enjoyed a recovery due almost entirely to the loose monetary policies of the Federal Reserve under the tutelage of its chairman, Ben Bernanke. In contrast with the policies of President Franklin Roosevelt during America’s Great Depression of the 1930s, which focused on facilitating job creation, the policymakers in the U.S. have focused their efforts on reinflating equity prices through quantitative easing (money printing) and offering banks (including investment banks) historically low interest rates, in effect free money. Perhaps sooner than we can imagine, history will render its verdict on this policy of neglecting a recovery in the labor market in favor of reinflating the stock market. 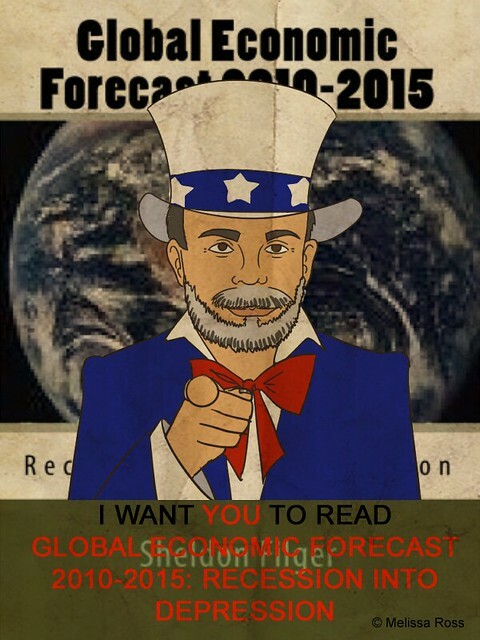 This revelation ties in with other developments throughout the advanced economies afflicted by the crisis. Bankers and their ilk received trillions of dollars in taxpayer-funded bailouts, and the public is only aware of the tip of the iceberg. Of course, the governments claim this was necessary to prevent economic implosion (due to reckless behaviors by bankers). But the sovereigns are rapidly losing credibility with their own publics, as the global economy continues to stagnate and weaken under a mountain debt, a debt incurred for bailouts of the financial sector.